Q: I’ve been a student of your method since late this summer, and I’m enjoying the progress I’ve made under the guidance of your book. Melodic possibilities are opening up to me now, and I’m starting to get a bit more gratification from my playing. Thank you! First, I have a question about tremolo. Forgive me for being yet another novice confused about the specifics of tremolo, but I was wondering if it’s acceptable to (with the right hand) lightly touch the heel of the palm to the bridge of the mandolin when doing tremolo. I find that I have much more control in the tremolo when I do this, as opposed to keeping my right hand completely detached from the instrument. However, if this will prove to be a serious hinderance as time goes on, I’d like to know before I get too much improper muscle memory. It’s not a matter I saw specifically addressed in your method book, so I thought I’d ask you directly. A: I actually do talk alot about hand position in the method. 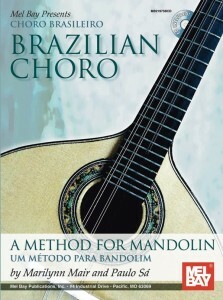 On p. 22 and p. 110 I write about hand position for tremolo. I suppose I don’t specifcally say not to put the heel of your hand on the bridge, but I don’t think that’s possible if you follow my instructions on hand position, to slightly arch your wrist and allow your pick to drop through the string to rest on the next string. Yes, resting on the bridge will give you control in the short run, but limit your expressiveness in the long run. I don’t recommend it. 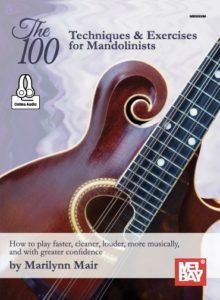 Often bluegrass players and Choro players will adopt that position, but tremolo isn’t a big part of their technique, and the nuanced tremolo that I advocate is not in their vocabulary. Posted January 8th, 2011. Bookmark the permalink. Both comments and trackbacks are currently closed.